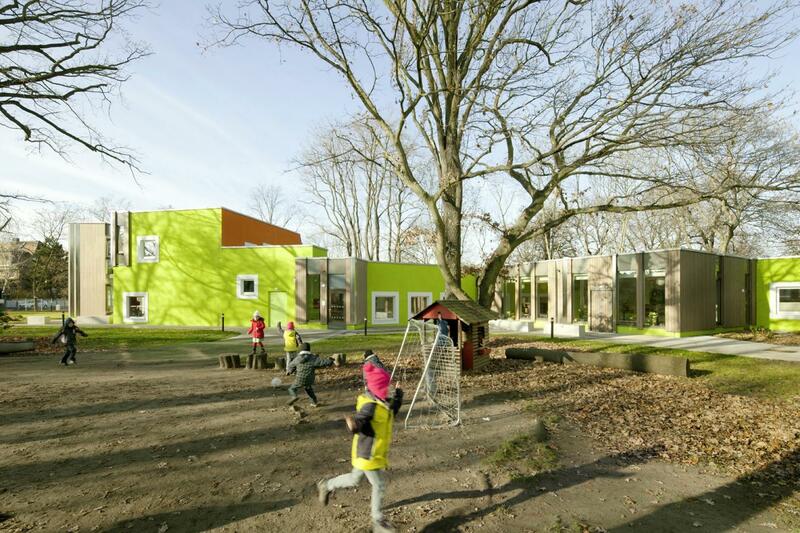 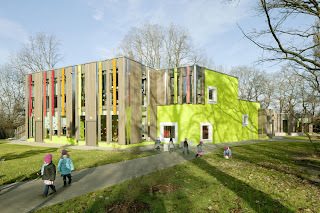 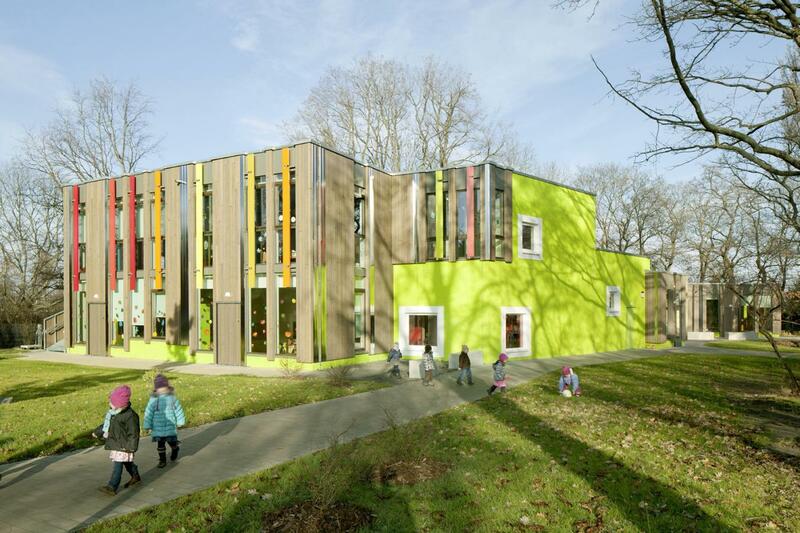 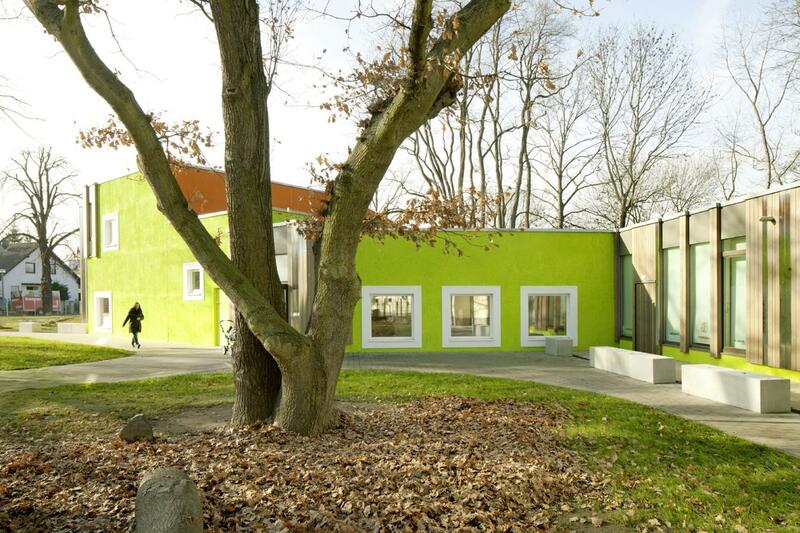 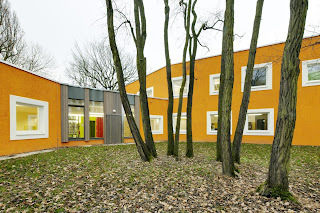 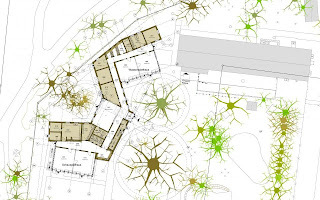 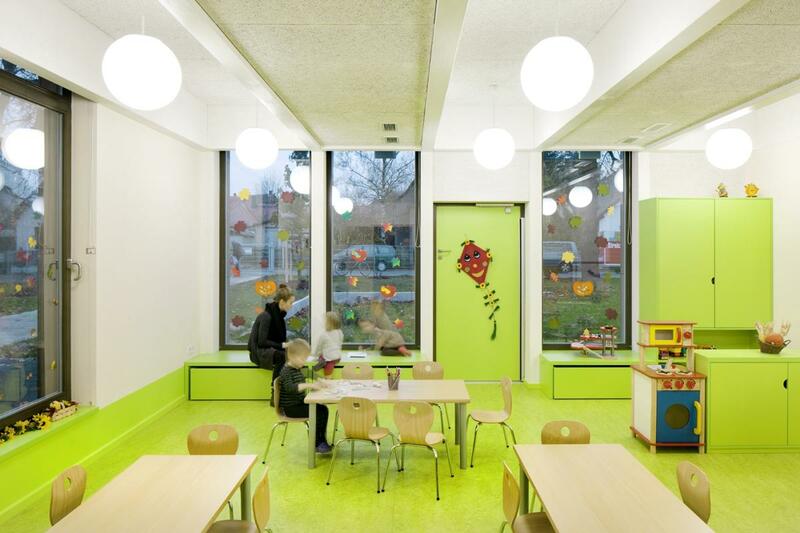 The new building of this day care centre for 100 children was conceived in a way that largely preserved the stock of densely planted ancient trees on the estate, providing a maximum of space for playing in all kinds of ways as well as areas and courtyard locations, which are sheltered to varying degrees. 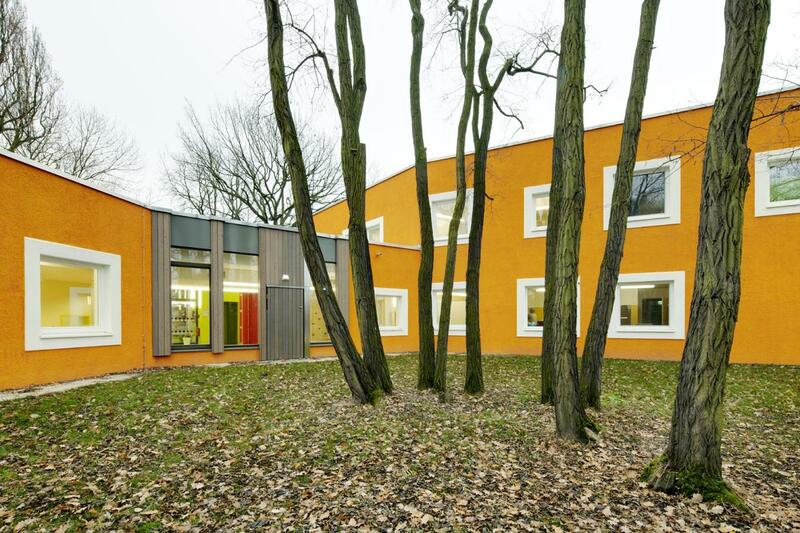 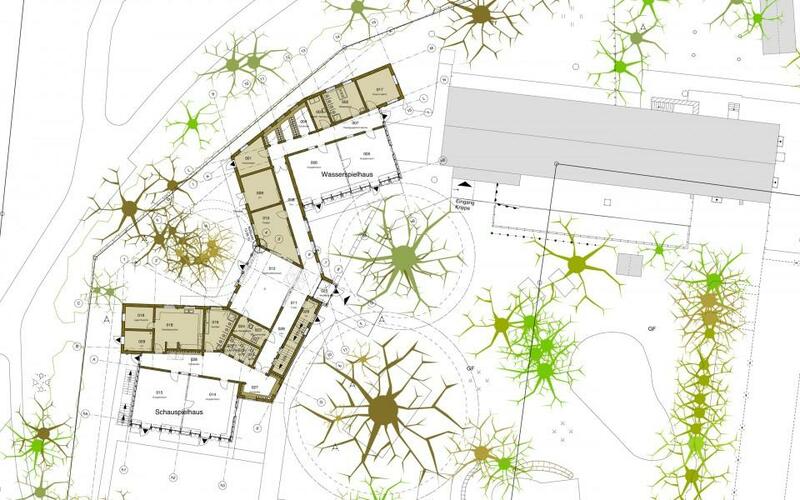 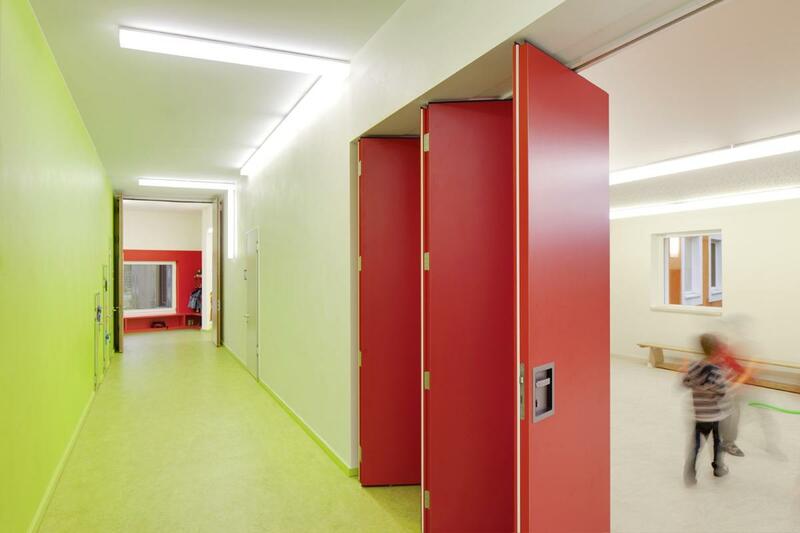 In accordance with the Saxonian education plan, the new building realizes a synergy between architecture and pedagogy. 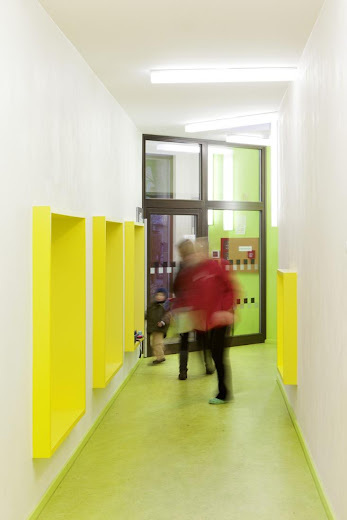 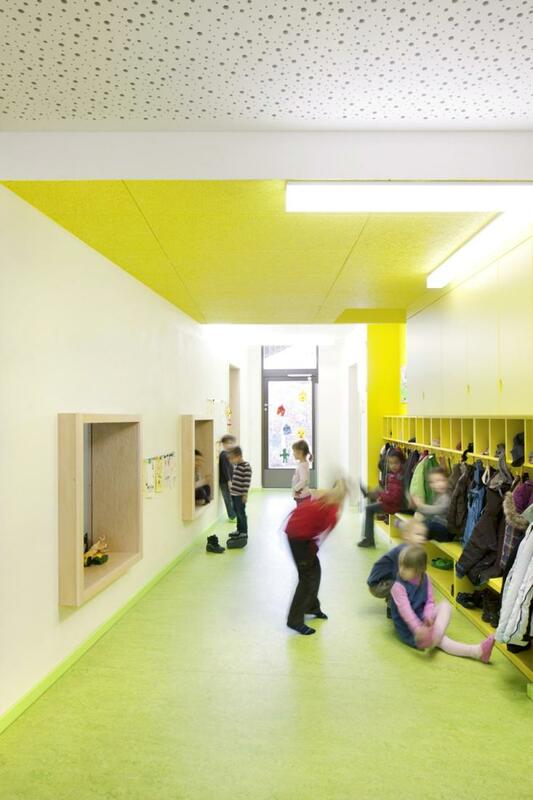 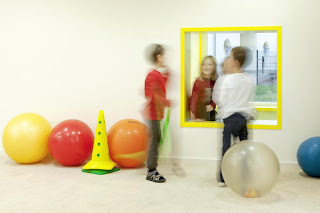 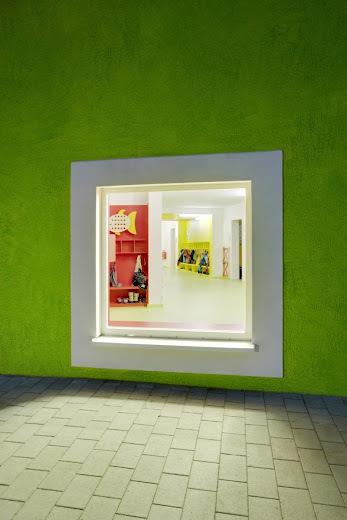 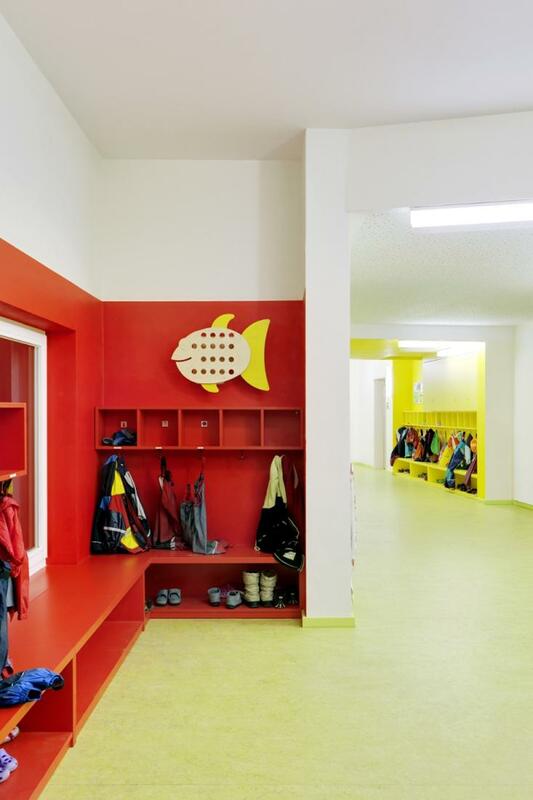 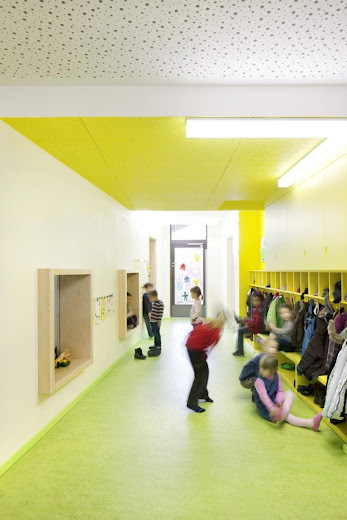 Both indoors and outdoors, children are given a diversified spatial experience and learning environment, which allows them to explore a multitude of communication forms, transparencies and shifts of perspective. 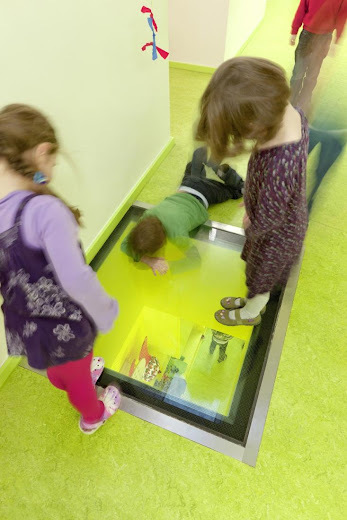 This way, children can develop an understanding of natural science, which is in line with the „explorative learning“ principle of said education programme. 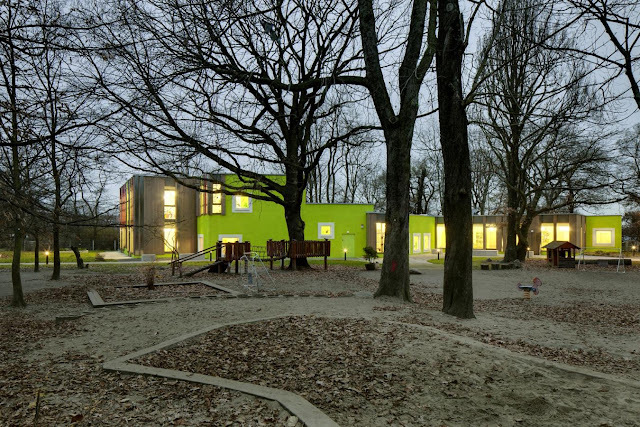 The day care centre is composed of three play houses, having one or two storeys, while largely avoiding pure traffic areas in favour of an extended teaching area with niches.